We act as credit brokers and we are not a lender. †Includes £250 Deposit Allowance Paid By Manufacturer. *Excess mileage charge of 8p per mile. If you exceed this annual mileage then excess mileage charges will be applied by the finance provider at the end of the agreement should you choose to return the vehicle. Finance subject to status. A guarantee may be required. Terms and conditions apply. Unless otherwise stated, metallic paint at extra cost. Library image for illustration purposes only. 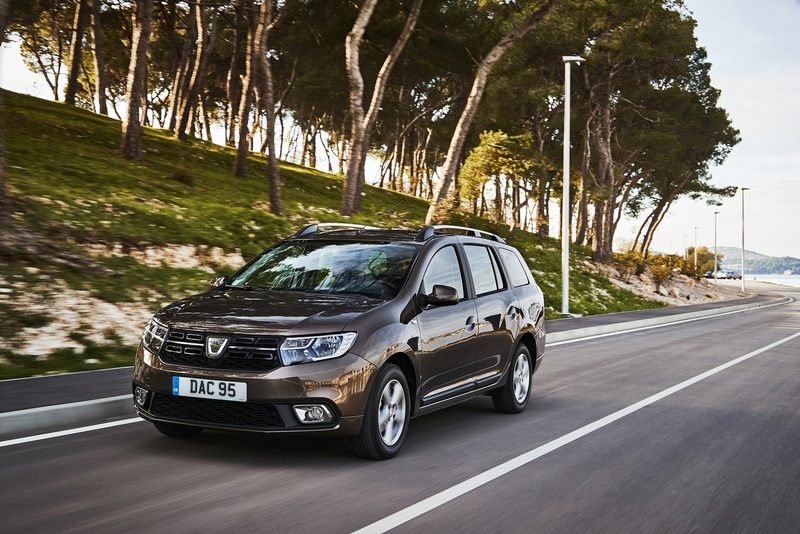 The Dacia Logan MCV is an estate car that offers an affordable option for those who thought they could only buy used. It's not the last word in sophistication, as you might expect at this price point, but it's probably a good deal more refined than you expect. On the basis of metal for your money, this revised version is extremely hard to beat. Sometimes simple is best. Granted, there are times when we want a bit of excess and over-engineering in our lives but when it comes to family transport, it's easy to really blow the budget on something you don't really need. It's what manufacturers of premium-badged cars have counted on for years. At the other end of the spectrum is Dacia. It takes tried and tested Renault engineering and recycles it into new cars hailing from Romania. This means very little research and development outlay, modest labour costs and minimal tooling costs. The result is inexpensive but rugged cars that work very well for cash-strapped family buyers. The Duster budget SUV and Sandero supermini have established a beach head for the brand in this country and the Logan MCV estate has built on that. MCV? 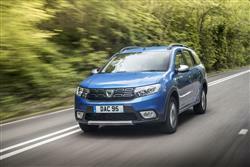 Dacia claim it means Max Capacity Vehicle but it's an estate to you and me and a handily-sized one at that. This revised version gets a more efficient Blue dCi diesel engine and the option of a rugged-looking 'Stepway' trim level. The Logan is the car that might well have first introduced British buyers to the Dacia brand, especially if they've travelled to France where the first generation Logan was a big hit. We never got that car in the UK and the second generation Logan took a different tack to the original, making the Sandero in effect the hatch version. That's why the Logan MCV gets much the same engine selection as the Sandero. That means a neat 900cc three-cylinder Tce 90 petrol engine as the main attraction. This is an engine that's great in a Clio and powers the smaller Sandero adequately, with great fuel economy and a decent turn of speed. It's a unit that needs to be worked as it makes peak power at 5,250rpm, although there's 135Nm of torque from just 1,650rpm. For those on tighter budgets there's an 'Sce 75' 75hp petrol powerplant at the foot of the range. There's also a 1.5-litre 95hp 'Blue dCi 95' diesel. The Logan MCV rides on a version of the Nissan B0 platform that underpins the Note and the LEAF and is built tough to appeal to world markets. Electronic stability control (ESC) is fitted as standard, compliant with European regulations. It ensures vehicle stability under difficult conditions such as obstacle avoidance, loss of grip when cornering, and slippery road surfaces. ABS (anti-lock brake system) is enhanced by Emergency Brake Assist (EBA), which adjusts the hydraulic system automatically to apply maximum brake pressure from the onset of braking through to the trigger point at which ABS switches in. The Logan MCV is a fairly practical-looking thing that has one of the best carrying capacities in its class. 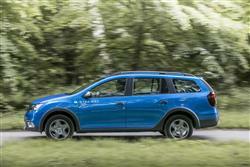 Take something like a Skoda Fabia estate as a competitor. That fronts up with 480-litres of boot space with the rear seats in place and 1,485-litres of total capacity when they're folded. 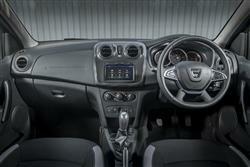 The Logan MCV is notably bigger, with 573-litres in the luggage bay and up to 1,518-total capacity. Look at those figures and you might assume that with these broadly similarly sized cars, the Skoda maybe compensates by offering more rear seat space than the Dacia. But get into the back of the Logan MCV and it feels anything but pinched. This current model gets a smart front end design showcasing Dacia's distinctive lighting signature flanking a honeycombed grille. Go for the 'Stepway' version and you get flared wheelarches, roof rails and a higher 174mm ground clearance. 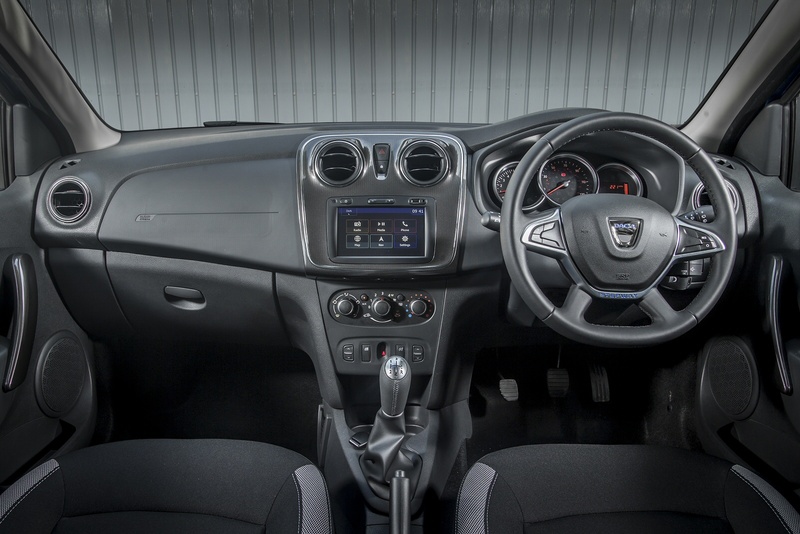 Whatever Logan MCV model you choose, you'll find a smarter interior than you might expect, with satin-effect chrome finishing to lift the dashboard, a smart steering wheel and some soft-touch surfaces on upper-spec variants. As for practicality, well the interior arrangement is clever, offering no less than 16-litres of handy, accessible stowage features, such as front and rear door bins, cubbies and a storage tray on top of the dashboard. The luggage compartment cover (available on some versions) has a rigid upper section with additional interior stowage capability. The easy-to-use 2/3-1/3 split/folding rear bench, standard on all variants, makes for maximum versatility. 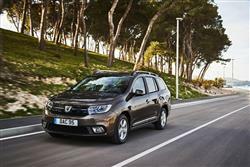 As usual with Dacia products, the Logan MCV has been priced to offer outstanding value for money. Prices start at around £8,500 and range up to around £14,000, There's a choice of four trim levels - 'Access', 'Essential', 'Comfort' and 'Stepway' and three engines - the SCe 75 and TCe 90 petrol units and a 1.5-litre Blue dCi 95hp diesel. Most variants get a DAB radio and you no longer have to stretch right top the top of the range for air conditioning - it's now standard from the 'Essential' level upwards. If you want the rugged 'Stepway' bodystyle, you'll be paying from around £12,500. One of the more interesting features available on the Logan MCV is 'Media Nav'. Available on upper spec versions, this is a fully-integrated multimedia system with a large 7" touchscreen running a highly intuitive homepage menu for trouble-free navigation across the system's many useful functions, which include Bluetooth technology and satnav with 2D and 3D (Birdview) display. Personal devices can be easily connected to a dashboard USB or jack connector. Another clever touch on plusher models is 'DaciaPlug&Radio', also a straightforward and highly efficient multimedia solution, with a dashboard-mounted screen showing three lines of information. This comprises radio, MP3-compatible CD player, Bluetooth technology and dashboard-mounted USB and jack connectors. Then there's cruise control with speed limiter on some versions, with steering-wheel control for both functions, and speed setting. Rear parking sensors are also offered with sensors in the rear bumper to warn the driver when nearing an obstacle. Power steering is standard on all versions. 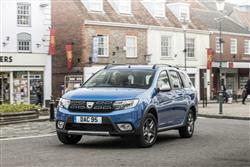 Dacia is a brand on the up and as more and more new buyers sign up, it's tempting to assume that there will be a big queue of used buyers also looking for a piece of the action, but there's a subtly different reason for choosing a used marque and I don't think the Logan MCV will be quite as depreciation-resistant as some new owners hope. Still, the low asking prices mean that the edge is taken off the overall cost of ownership and it's hard to argue with some of the other running costs. The TCe 90 900cc petrol engine is respectably quick but it'll still return reasonable fuel economy. 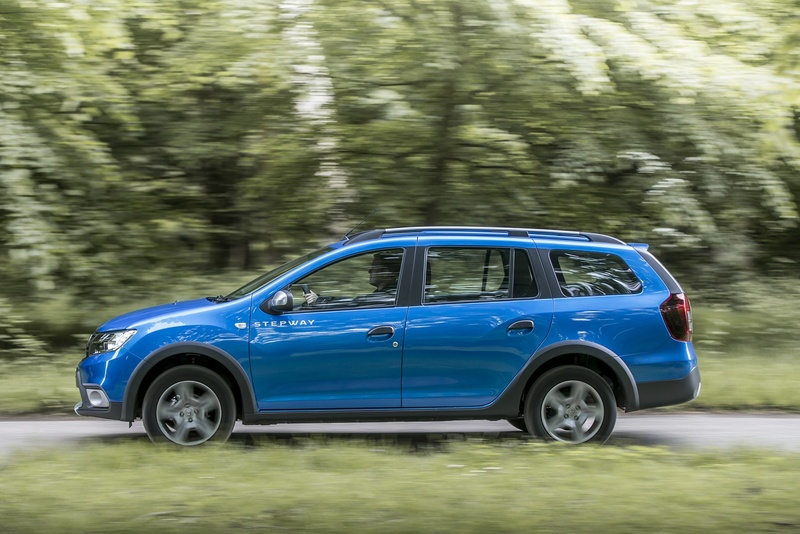 Dacia quotes a figure of up to 45.6mpg on the combined cycle and emissions of up to 124g/km for the standard version. Go diesel and in the standard model, you're looking at up to 62.7mpg and up to 97g/km. For the base SCe 75 petrol unit, it's up to 45.6mpg and up to 124g/km. All figures given are WLTP-collated, converted to NEDC2. All new Logans come with a 3 year/60,000 mile warranty (whichever is reached sooner). Rather than forcing buyers to pay a premium for a longer warranty they might not want, there's the option to extend their warranty should they wish. That's something that could well help shore up used values. 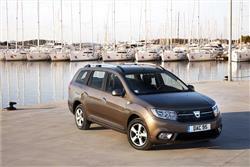 If you�re looking for a new Dacia Logan 0.9 TCe Essential 5dr Petrol Estate for sale, you�ve come to the right place. 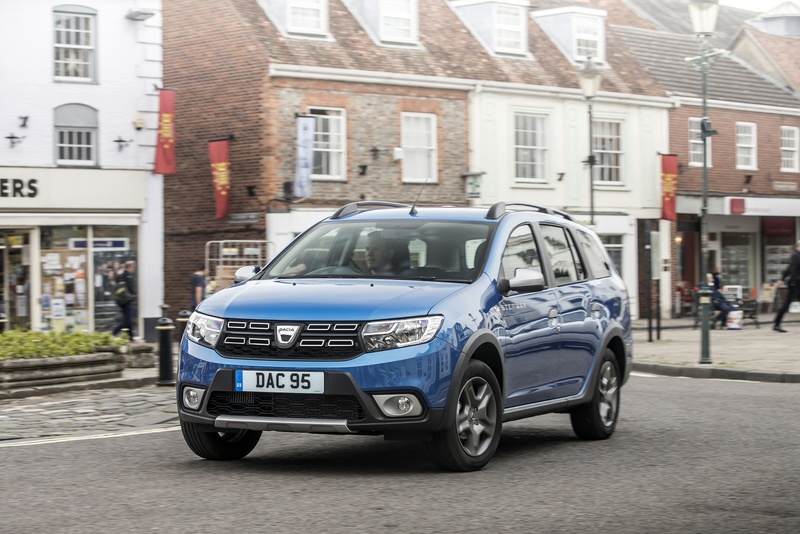 At Bristol Street Motors we don�t just have the best Dacia Logan 0.9 TCe Essential 5dr Petrol Estate deals, we also offer friendly advice and help with all your enquiries to ensure your buying experience is a happy experience.